It was the most important and most provocative play of the 2015 World Series, a play that represented so much more than just a stunning 80-foot dash to the plate by a guy not known for his speed on the bases. That 80 feet helped secure the Kansas City Royals' first world championship in 30 years. It personified how they run the bases more aggressively and with more daring than most teams. It showed that the Royals, more than most teams, leave critical game decisions in their players' hands, rather than letting the manager and coaches make every call. It explained, more than any play, why the New York Mets lost the World Series. And in the big picture of how the game is played today, in the war between the sabermetric community and the men in uniform, it proved that a ball put in play, no matter how weakly, is better than a strikeout. Leading the World Series three games to one, the Royals were trailing Game 5, 2-1, in the top ninth inning. Kansas City first baseman Eric Hosmer had just hit an opposite-field double to drive in a run and knock Mets starter Matt Harvey out of the game. After an infield groundout, Hosmer was at third base with one out, 90 feet from tying the game. Salvador Perez, who later won the World Series MVP award, was at the plate, and closer Jeurys Familia, who has a great, hard sinker, was on the mound. The Mets' defensive infield, which was their weakness entering the series (and the Royals knew it), played in at the corners and at medium depth up the middle, exactly where the defense should have been playing in a tie game. The Royals' pre-series scouting report was clear: Make the Mets' infielders throw the ball. Perez did not strike out, as so many hitters do. The strikeout craze has reached an epidemic level. Reaching an all-time MLB high in 2015, strikeouts have become so acceptable that hitters rarely shorten up and try to make contact with two strikes or with a runner at third and less than two outs. But Perez plays for the Royals, who put the ball in play more often than any team and force other teams to make a play and maybe a mistake. 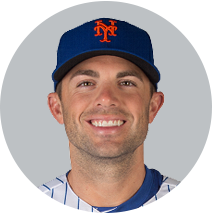 Perez hit a soft, broken-bat ground ball to the left of Mets third baseman David Wright, who cut in front of shortstop Wilmer Flores, fielded the ball on one hop, looked briefly at Hosmer -- who was 10 feet off the bag -- then threw to first for the out. The second that Wright turned to throw, Hosmer took off for home. 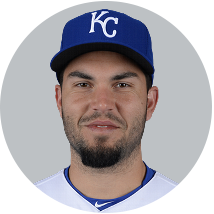 Hosmer went on his own because that's what the Royals preach -- use your instincts and what we taught you. 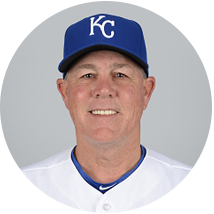 Manager Ned Yost said he used a bunt sign only four times in 2015; all other bunts were done on their own by the players. Over the past four years, Yost said he has not put on one straight steal sign. Every decision to steal was ultimately made by the baserunner. So when Hosmer bolted for home, perhaps he startled Mets first baseman Lucas Duda, who caught Wright's throw to retire Perez at first but threw wildly to the plate. Hosmer scored to tie the game. And then the Royals scored five runs in the 12th inning to win the game and the World Series. But the truth is, they won the game and Series on Hosmer's dash. "We made them panic. That's what I'm most proud of, how aggressive and fearless [Hosmer] was. He was not afraid to make a mistake. He played to win." The Hosmer dash was historic: It marked the first time since Game 7 in 1960 that the tying run scored on an infield out in the ninth inning or later of a World Series game. On that play in 1960, with runners at first and third and one out in the ninth and the Yankees down by one run to the Pirates, Yogi Berra hit a rocket to Pirates first baseman Rocky Nelson, who caught the ball on one hop while standing right next to first base. Reflexively, and correctly, Nelson stepped on the bag, which eliminated the force out at second base. But when Nelson turned to throw to second to get the double play, Mickey Mantle, the runner on first, had alertly dived safely back into first base -- one of the great base-running plays in Series history. Gil McDougald scored from third base to tie the score 9-9. But that play is somewhat lost in history because of what happened in the bottom of the ninth: Bill Mazeroski hit perhaps the most famous home run of all time, a walk-off to win the World Series. Hosmer's play will never be lost in history. It was that significant, that stunning. It was not magic. The play represented what the Royals do better than any team: find new ways to get an out, new ways to get a hit and, on this play, new ways to advance a runner when some other teams won't or can't. But to some, magic was involved. How else could Hosmer, an average runner, score from third when a routine throw from Duda clearly would have nailed him at the plate? It would have ended the game and sent the series back to Kansas City, with stud Met starters Jacob deGrom and Noah Syndergaard scheduled to pitch Games 6 and 7. So borrowing from the movie "The Prestige," here are the three stages of magic, and here is how that famous play happened, with accounts from everyone involved on that play. Ned Yost, Royals manager: We work on this play, and other plays like this, in spring training. When I came over here [from Milwaukee] in 2011, when we had a runner at second base and no one out, I got tired of hitters taking exaggerated swings, trying to inside-out a ball, just to hit it to the right side and advance the runner to third, rather than turn and burn and try to hit something hard to left field. I got the idea that we can move a runner from second base to third base with none out, unless the ball is hit on one hop to the shortstop. We worked that if the third baseman has to go to the line or go to his left or has to come in or go back, you can make it to third from second with none out. We had the same ideas from third to home. You can score from third on an out if it's in the right spot. 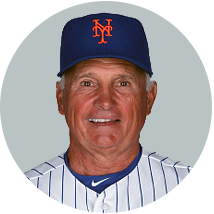 Terry Collins, Mets manager: We knew going into the series that they were aggressive on the bases and were willing to take a chance. We know they don't strike out much, and they put the ball in play. We were prepared. Eric Hosmer, Royals first baseman: The night before [in Game 4], we had runners at first and third. I was on third. Duda dropped a pickoff throw to first. He went to pick it up and misplayed it a little bit. I faked a break to the plate. I thought about going home. I came back to third and Jirsch [third base coach Mike Jirschele] had a little smirk on his face like, "You could have gone home on that play." Mike Jirschele, Royals third base coach: The night before, in Game 4, they made a pickoff throw to first; it went off Duda's glove and rolled five to six feet away. He had a little trouble picking it up. Hos was on third on that play. He went down the line, but when he got back to the bag, he asked me, "Could I have scored on that play?" I said, "Hell, yes." That's when he started thinking about it. 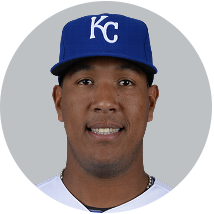 Salvador Perez, Royals catcher: Earlier in the series, with Duda at first base, we saw him throw a ball to nowhere. Hosmer saw that. Yost: At the start of the series, our scouting reports said that we should test Duda's arm and test [second baseman Daniel] Murphy's arm, at every opportunity. And Hos knew that. Mets third baseman David Wright, left, looked back at Eric Hosmer, but as soon as Wright turned away and pulled his arm back to throw to first base, Hosmer bolted for home. Mets third baseman David Wright, top, looked back at Eric Hosmer, but as soon as Wright turned away and pulled his arm back to throw to first base, Hosmer bolted for home. Perez: Familia has a really good sinker. He threw me a 97 mph sinker, jammed me, broke my bat, and all I could think of there is I hope Alex Gordon [the next hitter] gets him in. Yost: That was not a routine ground ball to the third baseman. That was a routine ground ball to the shortstop. David Wright, Mets third baseman: It was a weird play. I had to go to my left, and the ball took a funny hop. I cut in front of Wilmer. That is the third baseman's ball every time. My momentum is going to first base on that play. If the shortstop has to make that play, he has to re-set his feet and throw across his body. That is not the shortstop's play. 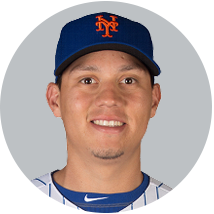 Wilmer Flores, Mets shortstop: That's the third baseman's ball, not the shortstop's ball. Wright: The play at first is important. You have to get an out there at first; otherwise, you have runners at first and third with none out. So I checked [Hosmer], and he wasn't moving. You have to stop him there. And then you have to throw it to first. You can't pump-fake to first there, because there's no one covering third. Collins: David made him stop. That's all he's supposed to do there. Yost: As soon as the ball is hit, the runner on third has to freeze. Most runners in that spot take a step or two back to the bag as soon as the ball is hit, but you have to freeze: The infielder is looking for motion at that point. If the runner stops, the fielder is in the mindset that you are not going home. Then Wright made his arm swing to go to first base, and Hos took a mini-shuffle toward the plate. At that point, I thought, "He's going home!" Hosmer: I was thinking of going on contact, but as soon as the ball was hit, I broke a little off the bag, and then I froze to read the play. That's what we are taught. Looking at the video, I could have gained more ground off third before David threw it. David fielded the ball. We got reports before the series about their infielders, notes that said we should take a chance. David was a little banged up. We all knew that; his shoulder was not right. So after he looked at me and turned to throw, I took off. I didn't hear anything from Jirsch. That's not the third base coach's job at that point. That's where instincts take over. "Look, you can play Monday morning quarterback all day on that play -- if this had happened, or if that had happened. It was risky, but it worked out." Jirschele: The only thing I said to him was, "You're OK," because the shortstop and third baseman were both going after the ball, and neither one of them was covering the bag. If I have to say anything after that, if I have to say, "Go," it's too late. Hos' instincts have to take over. As soon as he saw Wright turn and release the ball, he was off to the races. Yost: That is not the third base coach's call there. That is not a contact play; that is a hold play. You have to hold and read. That was a read totally read by Hos. That was a chance totally taken by Hos. He read the situation. Familia was closing. What were the chances of getting another hit off him? Right there, he saw a chance to score with two outs. Hosmer: I have decent speed, but I am not an above-average runner. If [speedy teammate Jarrod] Dyson was on third, with his speed, they would look him back to the bag more than they did with me. They might throw home. Or he might go on contact because he's so fast. I'm not at that speed level, so I might be the right guy in that situation. They are not going to stop and stare at me. 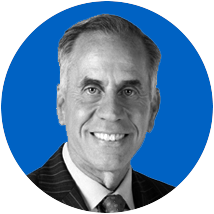 Yost: Hos was the perfect candidate on that play: He is just fast enough to make it but not so fast that the play would be changed by his speed. If Dyson was on third, we would have the contact play on: He would be running on contact, and the Mets would know that, and they would be prepared to go home. What Hos did was shut down the infielder's mindset that he might go home. Mets first baseman Lucas Duda, left, threw home to get Hosmer, but his throw was wild and glanced off the tip of catcher Travis d'Arnaud's glove as a diving Hosmer scored the tying run. Mets first baseman Lucas Duda, top, threw home to get Hosmer, but his throw was wild and glanced off the tip of catcher Travis d'Arnaud's glove as a diving Hosmer scored the tying run. Yost: When he took off for home, I wasn't thinking, "Oh man, he's going to get thrown out." I was thinking, "We are going to get this game tied here." And I'm thinking, "If we can get this game tied, with our bullpen, we're going to win this game." Collins: I was surprised when Hosmer took off. As soon as he did, I said to myself, "We got him." Hosmer: When he threw the ball to first, I think I had an advantage because I am a first baseman. I know what the first baseman has to do in that spot, especially if you are rushed. When I took off running, I thought it would take a perfect throw to get me. But after looking at the replays [Hosmer laughs], the throw could have been up or down, or to the side, and a good throw would have got me. But I took a chance. I was aggressive. That's how we do things here, being aggressive. If we had been down 3-1 in the series, I would not have done that. But we were up 3-1. Familia was on the mound. He's really hard to hit. We've got deGrom and Syndergaard coming up in Game 6 and 7. We didn't want that. I thought this was the time to take a chance. Wright: There is no one to finger on that play. Hosmer made an overly aggressive play. He was willing to take a chance up 3-1 in the series. I don't think he would have done the same thing down 3-1 in the series or if this was the first game of the series. Collins: It really helped them that they were up 3-1. Wright: After I threw to first, out of the corner of my eye, I saw him break. I was surprised he was going. It's risky. Look, you can play Monday morning quarterback all day on that play -- if this had happened or if that had happened. It was risky, but it worked out. If I'm on third base on that play, I would have liked my chances better of getting a two-out hit rather than trying to score on that play. He's rolling the dice there. That's how they played all year. "If I had made a good throw to the plate, [Hosmer] would have looked like a moron." Perez: So I started running to first, I heard the people going crazy, I touched the base, turned around and I saw Hos sliding across home plate safe. I just said, "Thank you, God." Yost: We made them panic. That's what I'm most proud of, how aggressive and fearless he was. He was not afraid to make a mistake. He played to win. He saw a way to win the game. That is what we do here -- we play to win. 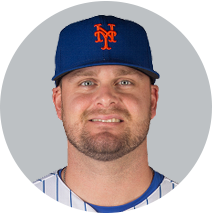 Lucas Duda, Mets first baseman: I saw him going. I didn't panic. I just need to make a better throw there. I owned up to that at the time. I stood there and took it after the game. I am open to talking about it now, but at some point, you have to move on. A play like that is either going to break you or it's going to build you up. That play is not going to break me down. I am not going to be remembered for that play. Collins: Duda made a bad throw. That's all. It happens. He throws as well as any first baseman in our league. Hosmer: That's a throw a first baseman almost never has to make, unless the infield is in. Jirschele: A good throw, [Duda] probably would have got him. But it would have been close. 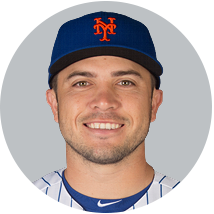 Travis d'Arnaud, Mets catcher: With a good throw, there's a high probability that he would have been out. Yost: He runs well enough. He stole 15 bases [in 2015]. He runs well enough to score on that play. Hosmer: (laughing at himself) Looking at the video, I always think I could run faster than I did. Collins: Not many first basemen are going to score on that play. I'd say he's the only first baseman who is going to score on that play. Wright: Hosmer is a great player, and he had a great postseason, but that's an overly aggressive, risky play that worked out for him and for his team. Give them credit. That's how they played in the postseason. That's how they played all year. That's their MO. And we knew it. He made a risky, risky baserunning play, and it worked. Duda: I was a little bit surprised that he went. 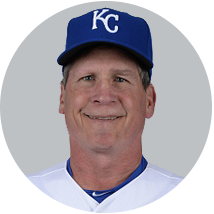 Was that necessarily a good baserunning play? I don't think so. But they had some room to play with, being ahead in the series. If I had made a good throw to the plate, he would have looked like a moron. Hosmer: If he had made a good throw, we would have packed our bags and gone back to Kansas City. And I would stand in front of my locker like someone who lost his puppy and have to answer questions about it. But given all the factors -- being up 3-1, and the play we saw the night before, and the fact that Jirsh said [Duda] was not real comfortable making that throw -- it was a good time to take a risk. If I had been out, it would have been a tough day for me. I had made an error in the eighth inning, and if I had been out, it would have been the toughest fight I have ever had on the big league level. But, it worked out perfectly. I wouldn't have changed anything about that play. Tim KurkjianTim is a senior writer for ESPN The Magazine and ESPN.com, and an analyst/reporter for ESPN television. He has covered baseball since 1981.